Discover the quality of Qualigifts with a freebie. Right now you can sign up for a free drawstring backpack, and the best part is that you will be able to personalize it with any saying you want! That’s right, an entire backpack will be yours for free. 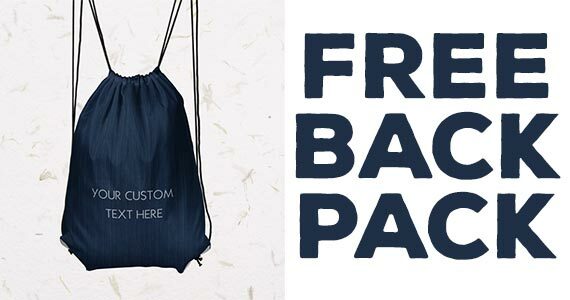 To receive your free drawstring backpack sample, click through to the offer page and fill in your mailing address and your customized text lines. It can be customized with 2 line of text (up to 20 characters each).